IWKC is an acronym for I Will Kill Chita, a joke resulting from past tensions between the Samarin brothers Nikita (drums and percussion) and Nikolai (keyboards and bass). They formed IWKC in 2008 and have been searching for their own style until now. Augmented by Andrey Silin (keyboards and theremin), Artim Litvakoskiy (cello), Alexandra Ramazanova (cello), Ksenia Puzhnikova (violin), Ramil Mulikov (trumpet and trombone), Ekaterina Voronkova (French horn), Anton Ponomarev (saxophones), Konstantin Podgorbunskiy (tuba), and the Gnesin State Musical College Choir (Alexandra Zotova, Pavel Zotov, Evgenia Mazur, and Vera Nikshetchieva), IWKC released their third album April 3, 2015. 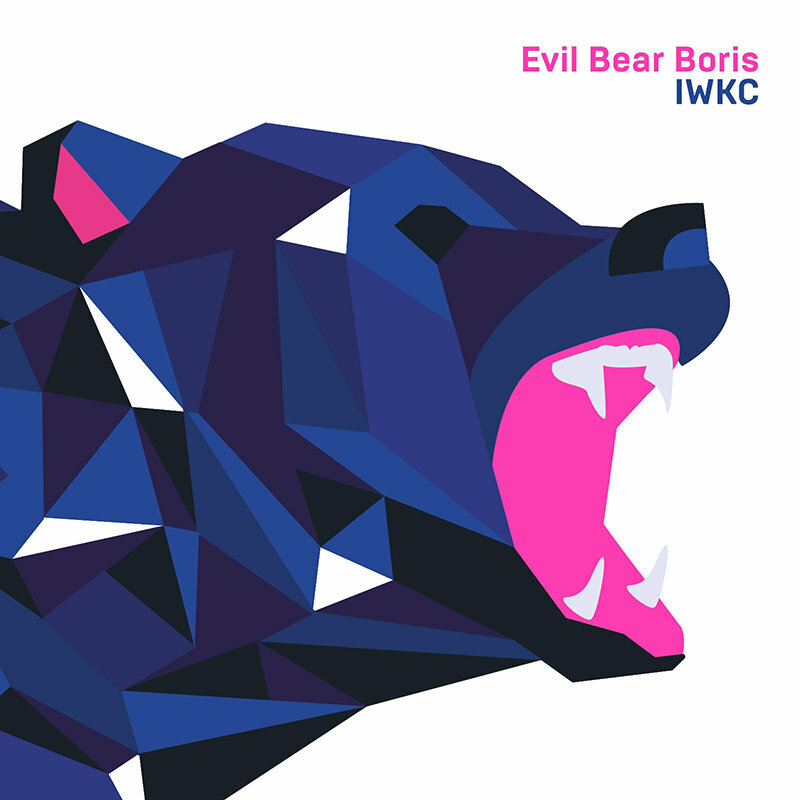 Evil Bear Boris is a set of five playful and melodic instrumental tracks bringing together neo-classical, art-rock, and progressive rock music in a new manner. The album kicks off with the monumental 23-minute track “Point of No Return.” This is quite a bold statement for a relatively unknown band. This track begins quietly with drums, bass, and guitar playing a melodic and cinematic riff for a couple of minutes, making me wonder how will they be able to sustain this for 23 minutes. Not to worry, there are numerous emotional and tempo swings to keep you listening. Along the way I hear references to Stravinsky, Leonard Bernstein, Renaissance, Procol Harum, and prog metal. Nikolai’s bass work is outstanding along with the strings. There is a particularly exquisite and mournful cello solo midway through the piece. This track is intelligently composed and tightly orchestrated. About one minute from the end, there is an ambient break with squeaks, prepared piano, and banging, followed by 30 seconds of wordless choral voices to close the track. The other four tracks present similar, but much shorter, compositions. “Alles Unter Kontrolle” is another playful cinematic track. “Ned Hoper” starts with a simple bass riff that gets picked up and elaborated on by the other musicians to end with a soaring synth solo. “Keine Rationale Erklärung” is a dark jazzy piece with bass, bass sax, and percussion. And the album closer “The Music Will Play in Your House But You Won’t Hear It” begins as a post-punk piece similar to Wire and then shifts to melodic rock with some Miles Davis inspired trumpet playing. Overall, quite an amazing listening experience!